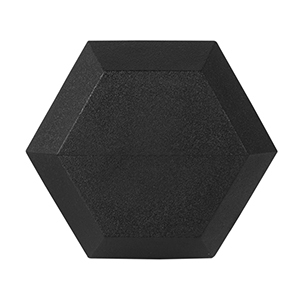 Amazon is now offering a 48% discount on this CAP Barbell PVC Coated Hex Dumbbell Weights, the original price was $36 and now the price reduces to $18.96, it saves $17.6! With Free Shipping!! Use them for walking, isolations, fully body workouts, functional training, HIIT workouts and more! # VERSATILE – Dumbbells offer the ability to target specific muscle groups or attain a full body workout. # CONSTRUCTION – Heads are made from ASTM A48 Class 20 grey iron coated in 90 shore hardness PVC joined together by a solid 1018 cold rolled steel chromed handle. # FEATURES – Original Hex Shaped heads prevent rolling. The medium depth knurling on the ergo handle provides essential grip and security during use. PVC coating is extremely durable and does not have an odor. # FUNCTIONAL – Perfect for isolations, full body, functional and HIIT workouts. 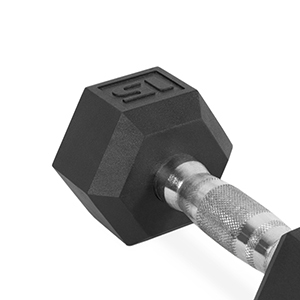 # CHOICES – This dumbbell group from CAP is available in sizes from 5 – 50 lbs in 5lb increments.